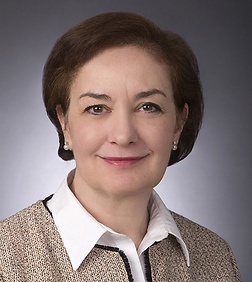 Christine M. Clements is a partner in the Healthcare Team in the firm's Washington, D.C. office with over 25 years of experience on managed care law issues. Her practice focus includes federal healthcare government contract programs, including the Medicare Advantage Program, the Medicare Prescription Drug Benefit, the Federal Employees Health Benefits Program, and Medicaid managed care. Christine advises health plan clients on the issues most important to them, including contract applications and service area expansions; responses to requests for proposals; rate development and bidding; medical loss ratio and other financial and reporting requirements; risk adjustment; Star ratings; sales and marketing strategies and compliance; benefit design; employer/union group offerings; provider and vendor contracting and payment; internal audits; fraud and abuse including the discount, managed care, and group purchasing organizations safe harbors; and compliance programs. Christine advises clients undergoing government audits and investigations. She also represents clients in administrative appeals including appeals of Centers of Medicare and Medicaid Services application denials, assessments of civil money penalties, and Star rating/quality bonus payment determinations. Christine counsels health plan and other healthcare industry clients on Health Insurance Portability and Accountability Act (HIPAA) privacy and security issues. She advises clients on permitted uses and disclosures under HIPAA and security breaches, business associate agreements, and assists clients with other HIPAA compliance issues. Christine advises clients on state law requirements including insurance and HMO licensure requirement, net worth and other financial requirements, market conduct and other audits, state mandates and extraterritoriality requirements. Christine advises healthcare providers and suppliers including accountable care organizations and pharmacies, as well as intermediaries such as management service organizations. Christine also advises healthcare industry clients in connection with mergers and acquisitions, strategic alliances and joint ventures, value-based contracting matters, and other strategic planning issues. Previously Christine served as chief Medicare counsel at Aetna Inc., where she was responsible for the company's Consumer Segment. As chief Medicare counsel, Christine was the lead attorney for the company's Medicare Advantage and Medicare Prescription Drug Benefit businesses, Medicare Supplement products, and other retiree plans. Christine has written and presented on the Medicare Advantage and Medicare Prescription Drug Benefit programs, the Federal Employees Health Benefits Program, value-based contracting arrangements, and the HIPAA Privacy Rule, among other topics.